The vessel that each Asia Pacific Screen Award winner receives is a unique and beautiful representation of what the APSAs are all about. These unique urns and vases with their vibrant colours and subtle evolving shapes transcend mere statues, plaques or scrolls; they are a universal symbol common to all cultures and civilisations that cross all boundaries and borders. They have been with the Awards since their inception, initially inspired by the patterns, intricacies and textures of the natural world. 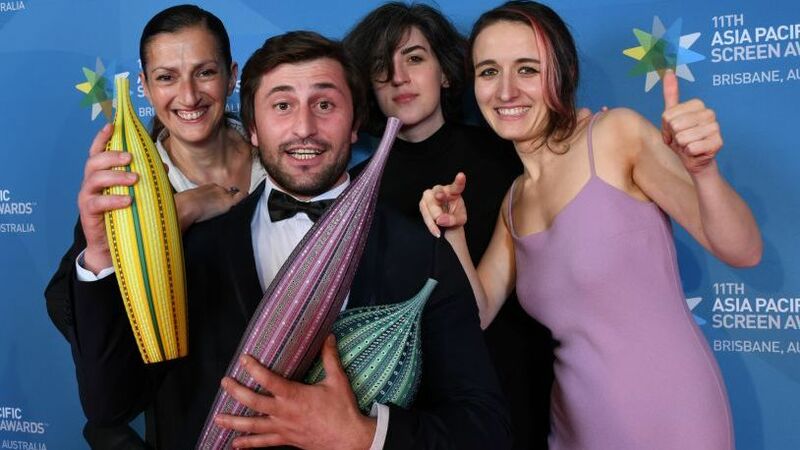 Now over decade since they were first commissioned, the vessels are recognised by filmmakers across the region and the world as distinctively ours and unlike any other award at the many ceremonies and festivals around the globe. The colours and shapes of the vessels reflect not only the vibrancy of the 70 countries and regions of the Asia Pacific, but also the passion, the diversity, the richness, and the energy of filmmakers who make our corner of the world their home. They exude warmth and a sense of solidarity that speaks to the efforts of Asia Pacific filmmakers to build bridges through storytelling and creativity. When spread across the globe thanks to our winners’ natural wandering spirits, the vessels continue to connect us to one another, a truly rare connecting thread that binds us. They can’t be replicated or copied and are another element among the many pieces that make APSA a one of a kind among the world. Brisbane artist Joanna Bone is a graduate of the Royal College of Art in London and winner of Australia’s prestigious Ranamok National Glass Prize. Her work can be found in prominent private and public collections globally. Each category winner receives one of Joanna’s exquisite glass vessels. The vessel presented to Iranian director Kioumars Pourahmad for his Jury Grand Prizewinning film, Night Bus, is now part of the permanent collection of the Film Museum of Iran.